CMs have been informed of this. Thank you for the response Cinnamon. Any chance of a sticky St. Patricks day event thread? the snakes have won. no st. patricks day and green ale this year. St Patrick Day event will be addressed hopefully with today's maintenance that is likely going to happen at 4PM PDT. Edited by VModCinnamon, 12 March 2015 - 12:25 PM. 'Treasure Box' dropped from the snakes is account bound. Was this intended? What are the Treasure Box used for? Treasure Box is not suppose to be dropped, that will be addressed during the maintenance. It is account bound for the time being but it can be sold to NPC. As part of the 4 PM PDT maintenance, VIP will get an additional +50% bonus to drops until the next scheduled maintenance. Time for people to get even more of those new cards. Have you tried exchanging it for Witch Starsand as though it were a normal Treasure Box? It shouldn't, because it has a different item ID. Edited by MorseCoder, 12 March 2015 - 12:31 PM. 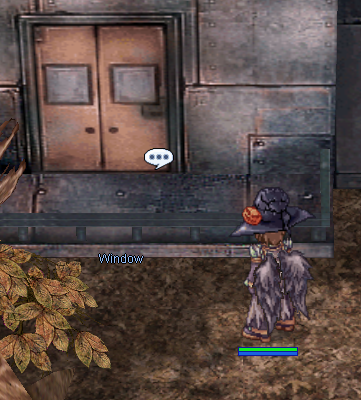 Server is back up, but the two other windows still won't talk to me. Talk to Agent York in Payon. Unfortunately youll have to restart the quest but that is the only way to fix it for everyone. also wut are the treasure boxes for? Also, sometimes when i pick up coins dropped by snakes, it says obtained silver coin (1) above and in my chat but i recieve none in my inventory. Edited by bbdrew, 12 March 2015 - 03:03 PM. What do you do with the usable coin? Same thing with the one in etc? Yup, I'm done with the quest. Thank you. Like with the Valentine quest, going to give it a week or two to let the dust settle before I bother with this quest. So, you messed up the quest since yesterday. Though it was bugged, people like me was farming the gold coins, and now with the last maint you changed it and now I cant redeem my gold coins because you chose to change the item? Couldnt you fix it without moving anything? It leaves a lot to say from you guys. I'm so mad @_@ I had about 30 bronze coins and about 25 silver coins. I put them in storage, came back, now they're gone. Is this another game glitch or was I not supposed to put them in storage at all? Not sure, but even though you could have them, you cannot redeem 'em because they changed the item. You still need Silver and Gold coins, but it's a different item ID. So, basically there are 2 gold coin items. Edited by TheSoaD, 12 March 2015 - 07:44 PM. never had a gold coin but it did drop 2 kinds of silver coin the heavy one(found at usables tab) and the light one(found at etc) and i think it shouldnt drop 2 of the same coin?